This popular little restaurant is located at the beach at Deane's Dock. 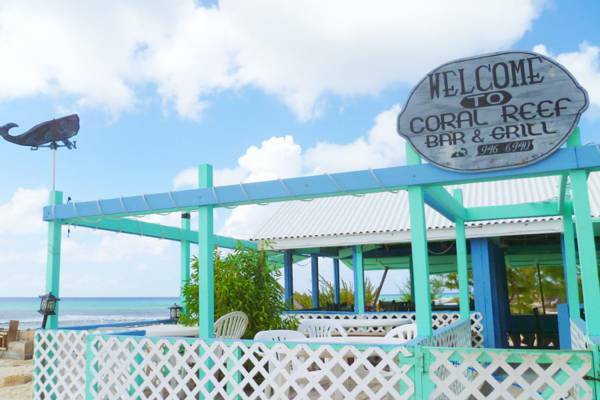 Located near Deane's Dock, Coral Reef Bar and Grill serves salads, seafood, grilled chicken and sandwiches. Open for breakfast, lunch and dinner. The Coral Reef Bar and Grill at Deane's Dock, Salt Cay.